The Nokia announced today its latest smartphone N8 in an event. The first device to be powered by the brand new Symbian^3 platform, the Nokia N8 will launch with an ability to capture photos and video to rival dedicated point and shoot cameras. The Nokia N8 introduces the ability to record high definition (HD) videos and edit them with a smart built-in editing suite on the device. The Nokia N8 doubles as a portable entertainment centre. Watch HD quality video with Dolby Digital Plus surround sound and hook into a dedicated Web TV application for access to news and entertainment on the move. Powering the Nokia N8 is the all-new Symbian^3 platform. This latest incarnation introduces major new advances including multi-touch and support for gestures such as pinch-to-zoom. 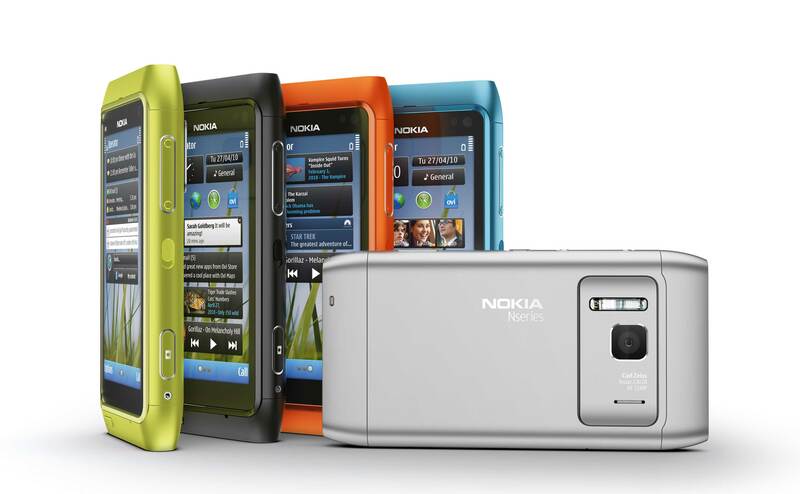 Nokia says it will ship N8 in third quarter with estimated price tag of Rs.45,000 or above. Although it is good and i love to use it , well it is quite expensive and person like me doing a high rated job in ptcl but at low wages cannot efford to purchase it . Can it be made available to the ptcl engineers like me on easy installments pl. It will be a great favour of the people to help the suppressed and discourage engineers in ptcl. Looking for the help of the Allah fearing people . At least our (PTCL) Arabs are not Allah fearing not our top management is Allah fearing . Pl people do help the engineering community of ptcl so that they can have such a state of the art mobile in thier hands . The PTCL engineers will be very happy e=with this act of sympathy and support and all os us shall be praying for ur Good life here after . Hi nice mind blowing this cell thnx for sharing with us. Wawooo 12 mp nice shoot. Hmm nice but too expensive for that features.I would buy Samsungs latest touch series with a digital camera and it would cost me half of that price. Save some more money and buy iphone instead of this. N8 is nearly the “iPhone killer” but all smartphones always lacks the same thing, speed. By the looks of the UI video … I’m guessing it’s going to be slow like 5800 and 5530. I love the 12MP, HDMI Output WITH 5.1 support and HD Video recording. Atlast nokia released 12mp camera. I think its price will be above 55,000 rupees. I think its price is at higher side. Is it 12 mp or 8 mp???? iPhone is best if u want speed.. iPhone kills the symbians due to its fast speed and quick response. pLZ someone tell the price.or any 1 selling. 12mp is gud….but price must be 39000 or little less….otherwise Satio 12mp by Sony Ericsson is awesome and in any case satio is awesome…it’s all about pakistani market which prefer more Nokia for re-sale aswell..
iphones times ovr, i mean there better phones now. if u iphone fans comparing iphones speed with n8.then u should know that phones like htc hd 2 carry 1ghz processor, more then iphones 600mhz ofcourse same as n900. as for touchscreen of iphone, yeah its awesome but now its not the only one. nokia n8 has the same touchscreen as iphone plus its amoled and its 680mhz . better then iphone. 2 RWP Saddar Ufone Service Centre, Bank road Saddar, RWP. 3 F7 Islamabad Ufone Service Center, 13 B, F7 Markaz, Jinnah Super, Islamabad. 4 Shaheed-e-Millat Karachi Ufone, Regional office, Building # 2, Block 111, Survey sheet 35/P-1, Muslim Servants, Govt Primary School, Cooperative Housing Society LTD, Shaheed e Millat road KHI. 5 Clifton Karachi Plot # BC-11, Block 9, Mehmood Center, Clifton (near Schon Center) KHI. 6 Sialkot 109, Aziz Shaheed Road, Sadder Bazar, Sialkot Cantt. 7 Faisalabad P 27, Main Susan road, Madina Town, Faisalabad.